I guess I have to give thanks to the hoards of paparazzi that were hovering outside Gracias Madre or else I may have driven right by the simple white building with modest signage. Of course, I had to drive around the block a few times as parking is a major challenge on Robertson Blvd. 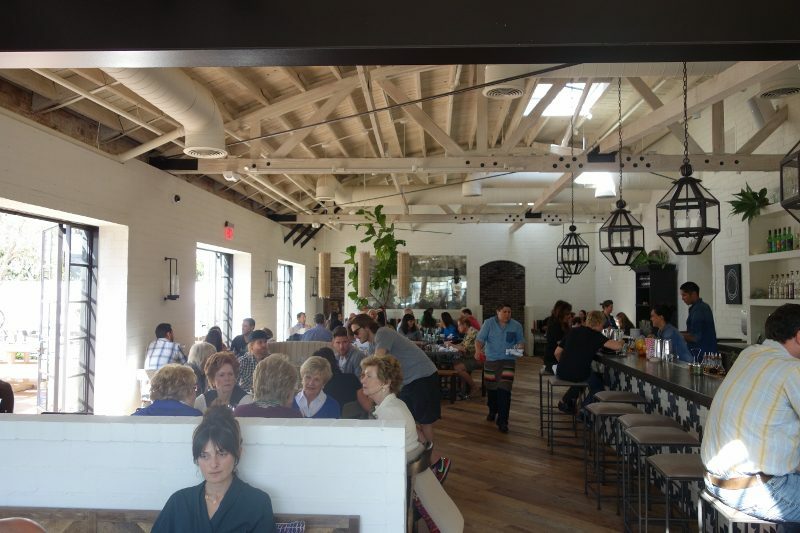 Once I got a parking space and walked past the paparazzi, I entered Gracias Madre…..a spacious, inviting space with high ceilings, great natural light and a large outdoor patio. 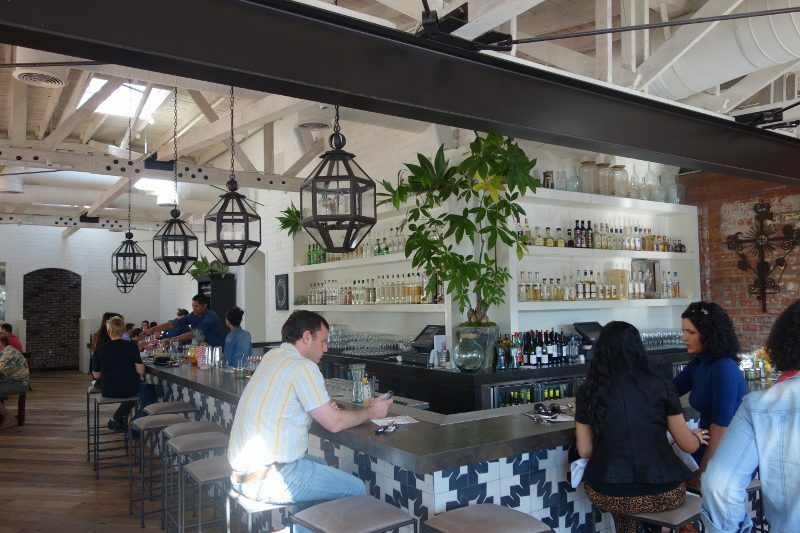 It actually felt like dining at someone’s home; there was a casualness and comfort to the modern Mexican design. 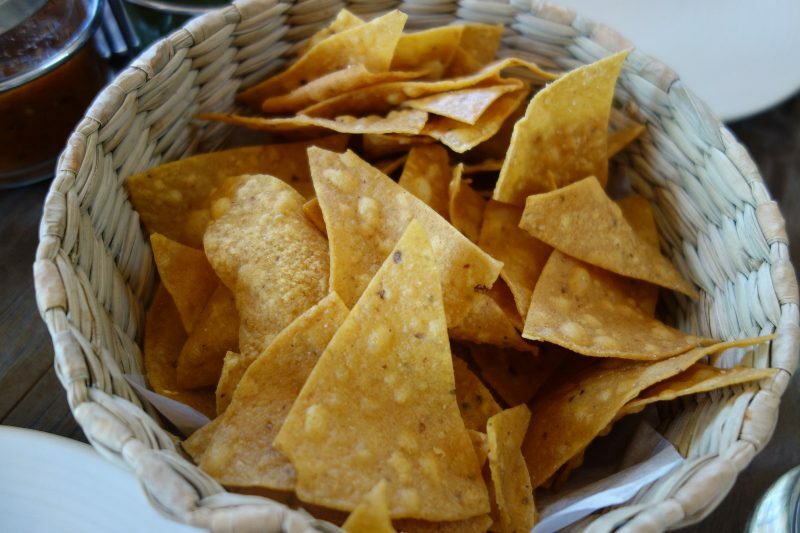 Everything on the menu was tempting but as there were only two of us, we narrowed it down to House Made Chips from the Bocados Pequenos section, Ensalada de Frutas from the Antijitos, Tamal and Enchiladas con Mole from the Principales and Guacamole from the Acompanantes. Hitting something from each section on the menu, we were ready to eat. House Made Chips ($4) – Organic heirloom milled in house, these are some of the best chips I have had – full of flavor and perfectly crispy. 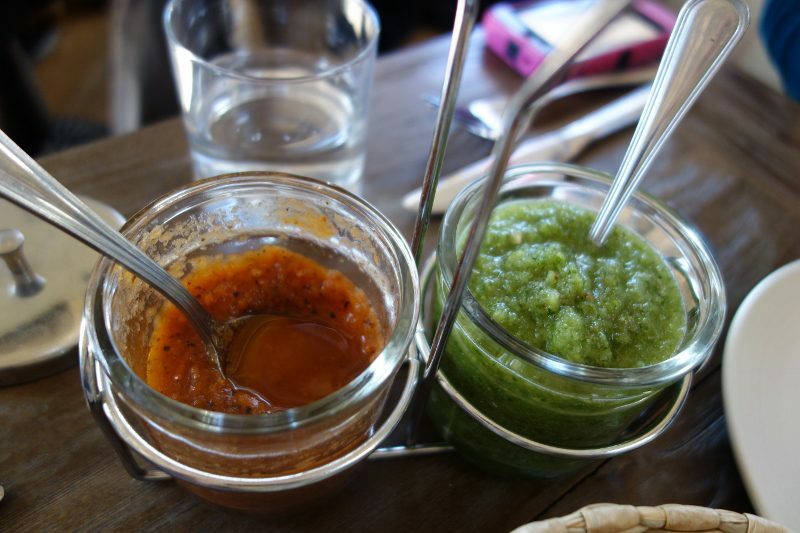 House-made salsas – the red salsa was smoky and the green salsa was tangy – and both were fresh and bright. 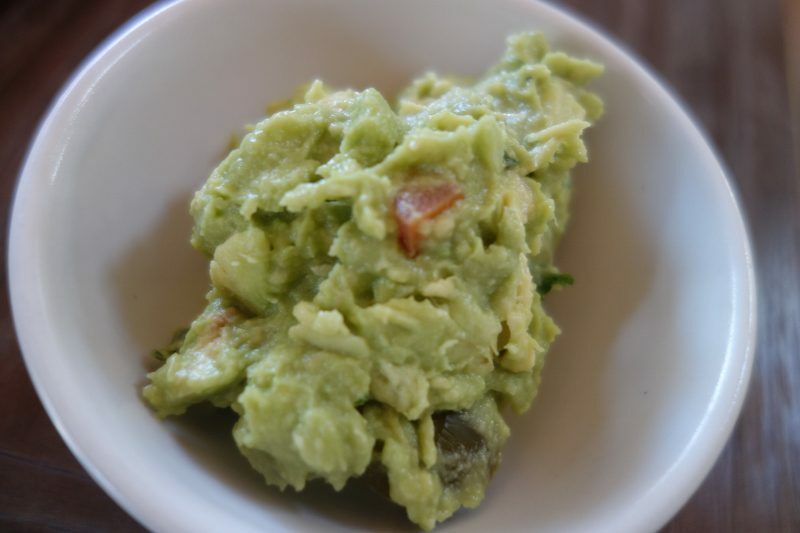 Guacamole ($6) – Mashed avocado with cilantro, onion, chile and lime, the guacamole was chunky and fresh – who doesn’t love made-to-order guacamole?!?! 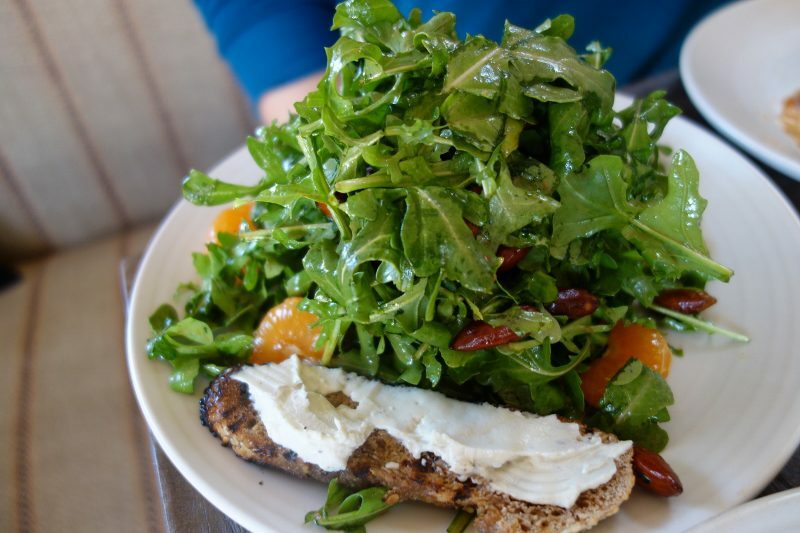 Ensalada De Frutas ($11) – Farm lettuce tossed in chipotle vinaigrette with local guava and mandarins, topped with almonds and served with grilled crostini and cashew queso blanco. I loved the balance between the citrus and hint of spice. Tamal ($13) – Stoneground heirloom masa steamed in the husk filled with sauteed butternut sqaush, poblano peppers and onions, served with beans and escabeche, the tamal was tender and moist and not dried out like many tamales can be. 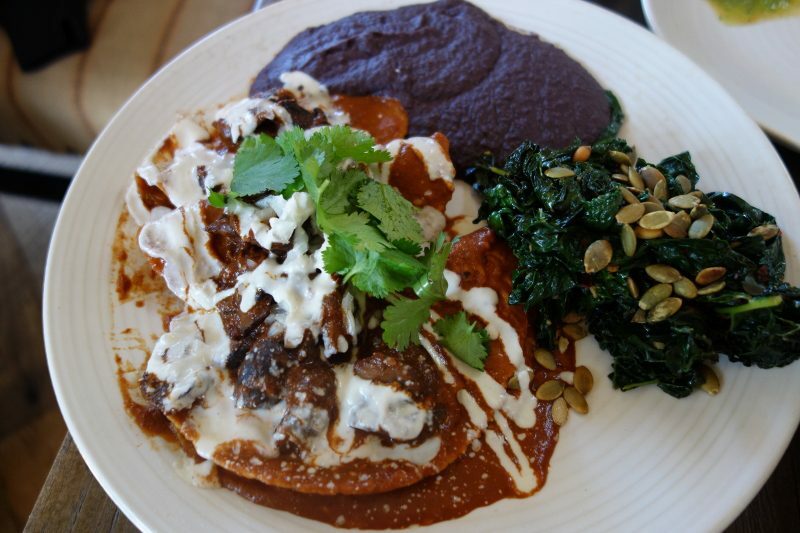 Enchiladas Con Mole ($16) – Spice mole enchiladas topped with mushrooms and cashew cheese, served with sauteed greens and beans, the home-made tortillas stood up to the hearty dish flavorful mole. The one downside to the experience was the service. Our server delivered all of the dishes at once and we could barely fit them on the table. He didn’t seem too concerned about this or the fact that the hot dishes were served and sitting on the table untouched and getting cold while we ate the guacamole and salad. When we asked him if they were trying to rush us out, his response was that there were two tickets/kitchens and they both finished at the same time. In fairness, the restaurant had only been open just over a month when we went. Hopefully he will learn how to place orders in the kitchen so that this doesn’t happen to others and will next time be more proactive so that if he sees this happen to a table, he will react to it before overwhelming the guests’ experience. Of course, once we got all the food, we never really saw our server again, which also didn’t impress us. 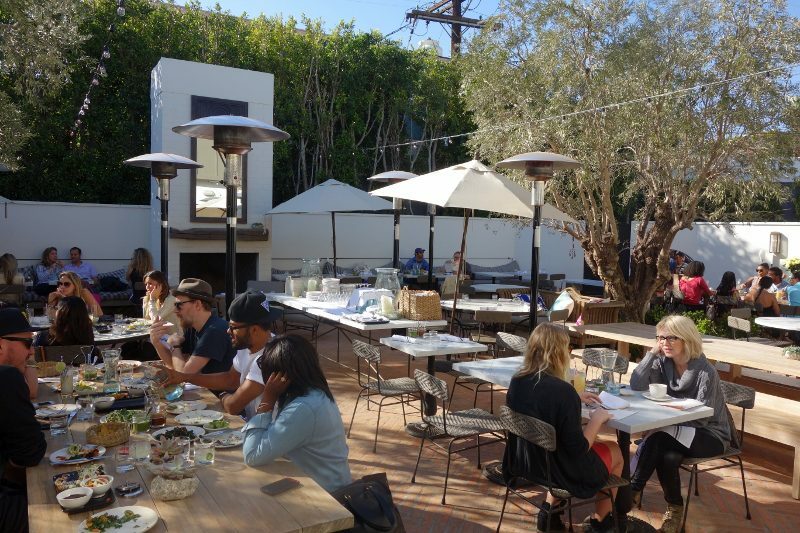 But, despite the service, the food and ambiance were very good! Yes, Gracias Madre is a vegan restaurant. And, no, I am not a vegan and have no intention to become one. 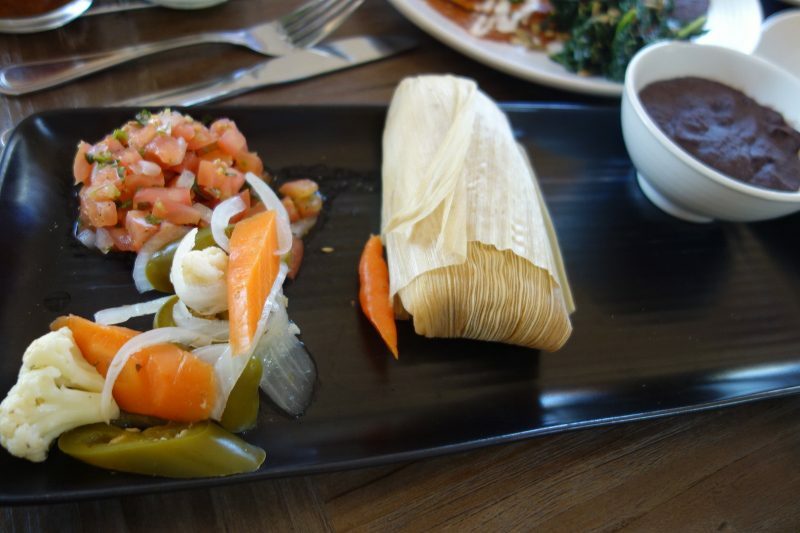 However, with places like Gracias Madrea and Crossroads offering flavorful, creative dishes, eating vegan every so often is very appealing. 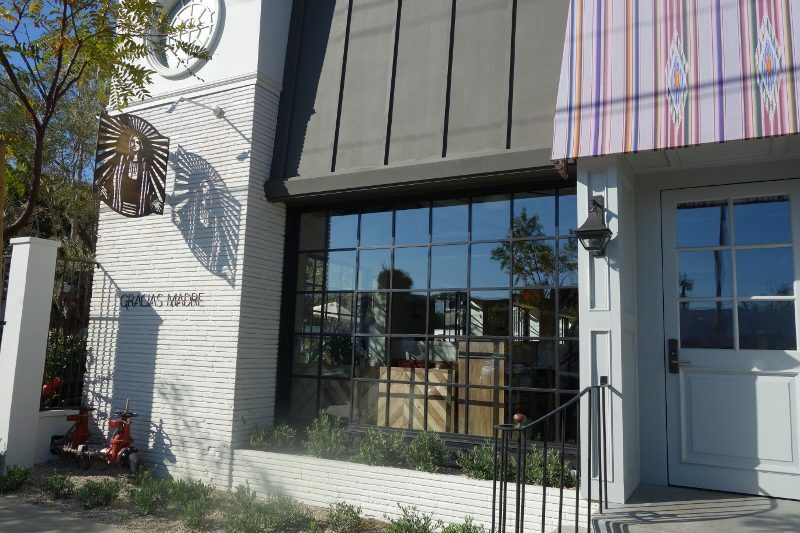 This entry was posted in Food and tagged Gracias Madre, Mexican Food, Robertson Blvd, vegan by Allison Levine.